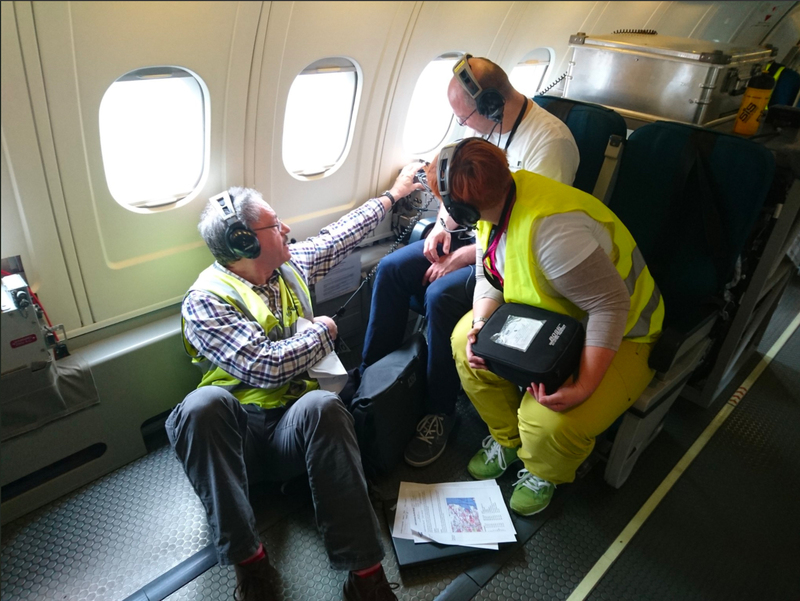 This summer, 3 schools were organised in Shannon (Ireland), Cambridge (UK) and Bavaria (Germany), involving 46 teachers and organisers, 58 PhD students and post-docs, 3 operators and 3 aircraft. 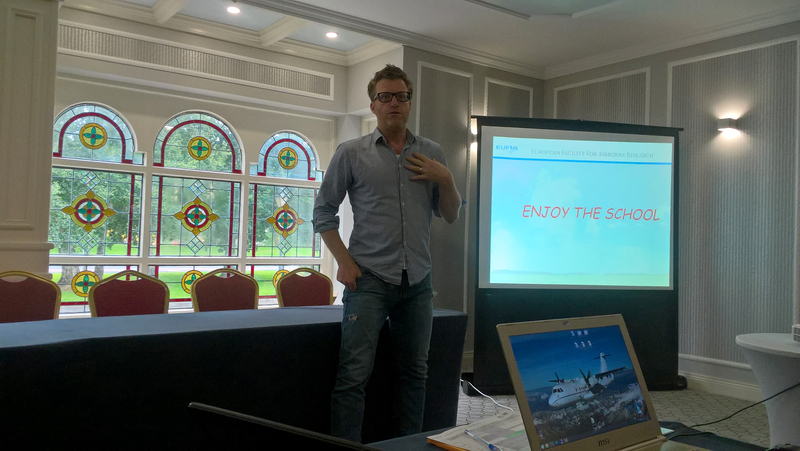 The Institute for Atmospheric Sciences and Climate (ISAC) of the Italian National Research Council (CNR) organised a ten day summer school (June 25 - July 4, 2017), which took place in Shannon, Ireland, within the EUFAR Education and Training activity. The summer school hosted 20 students of 12 nationalities working in 11 EU member states and associated states. They were trained on the use of a research aircraft, and on the experimental possibilities this opens for atmospheric physics and chemistry research. Students attended lectures on atmospheric turbulence, on airborne measurements of aerosols and clouds, on the structure of marine and coastal boundary layers, on coastal meteorology and on the remote and ground measurements of aerosols and their impact on climate. 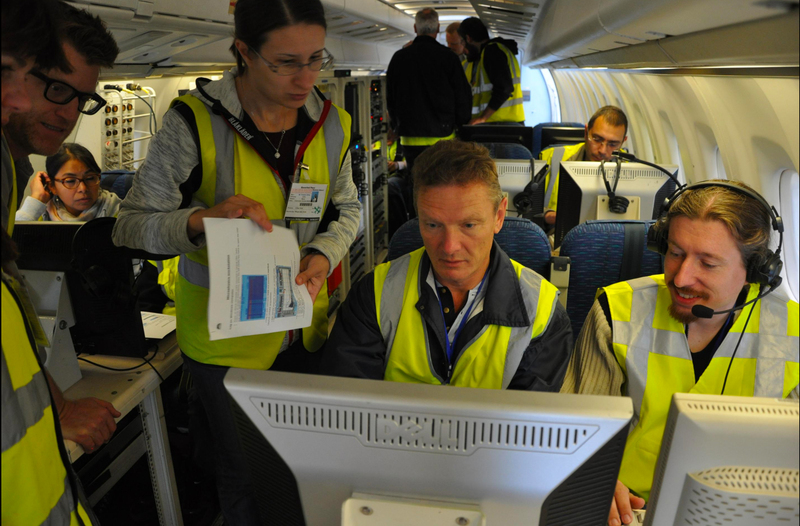 Moreover, they were trained on the specific features of airborne measurements and data analysis. Organised in four working groups of five students each and coordinated by an experienced tutor, participants planned a flight strategy and then performed airborne measurements over the coastal region of Shannon, at the interface between land and sea. During flight experiments on the French SAFIRE aircraft ATR42, dynamical, thermodynamical, microphysical and radiometry measurements were performed and later analysed. Lectures and flight time were alternated with working group sessions on instrument calibration, safety issues and data analysis. Participants also spent one day visiting the Mace Head Atmospheric Research Station, where they could meet researchers and experts in the field of aerosols physics and chemistry. , Darius Ceburnis (Univ. Galway, IR) and Ian Faloona (Univ. California Davis, USA). Click here to access the full gallery. Click here to download all presentations. University “G. d’Annunzio” of Chieti-Pescara (DISPUTER), Italy, organized a two week (26 June - 6 July 2017) summer school which was held at University of Cambridge (UK) and at FAAM in Cranfield (UK), and was funded by EUFAR. The summer school offered the 19 PhD students and Post-Doc from 10 nationalities working in 9 EU member states the background on atmospheric chemistry, aerosols, climate change and the technical skills required for measuring the main atmospheric trace gases, for instrument fitting on aircraft platforms as well as processing of airborne chemical and aerosol data. 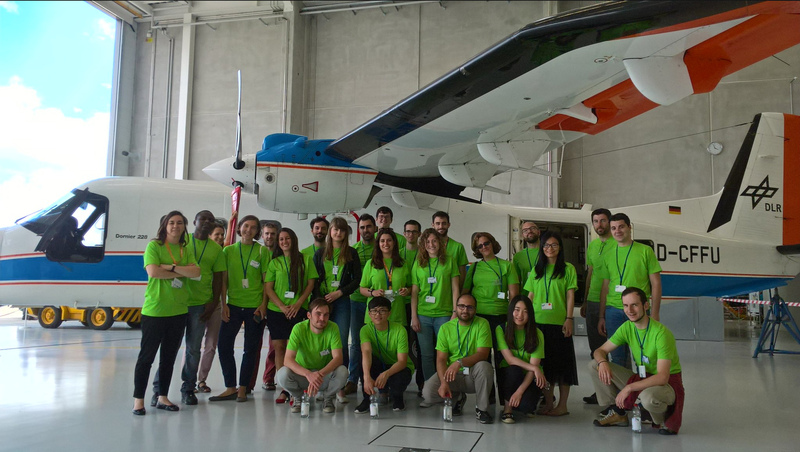 In the first week of the summer school the participants benefited from lectures by experts on aircraft measurements, chemistry and aerosol modelling and of aircraft operation. 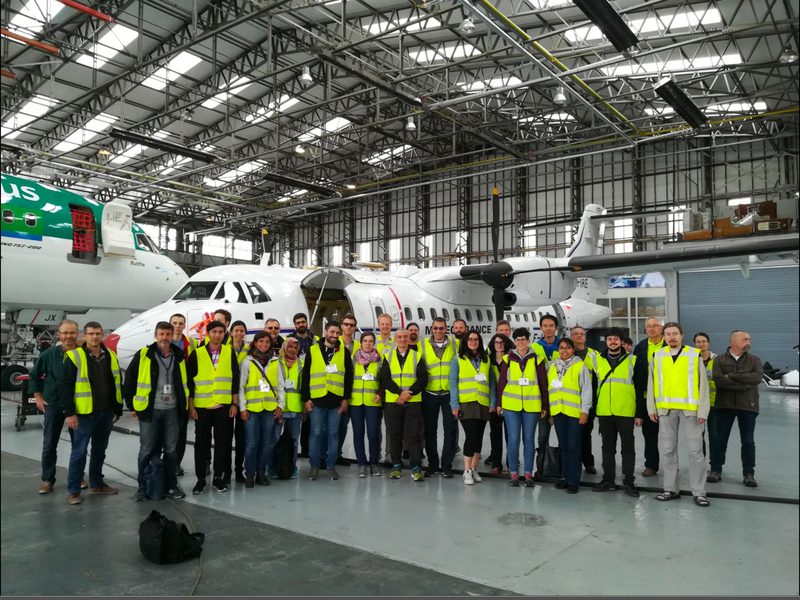 Students visited the BAe-146 research aircraft in Cranfield, where the FAAM team showed all the instruments installed on the research aircraft and helped student to plan the flights of the airborne campaign. 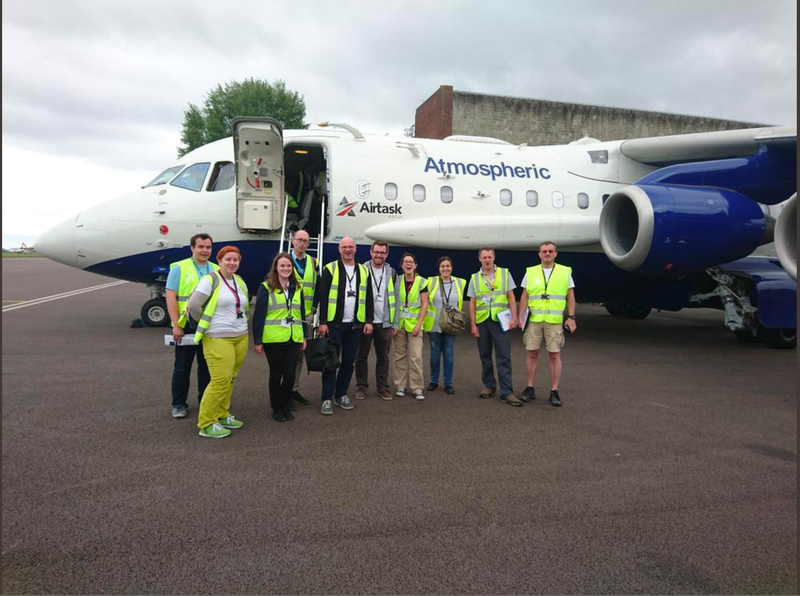 In the second week participants were divided in three groups to fly on the BAe-146 with the aim to train them in trace gases and aerosol measurements on board an instrumented aircraft. The flights where planned to acquire measurements of the emissions of London area and ships, in connection with the EMERGE (link to the EUFAR website, link to the DLR website) campaign that involved also DLR aircrafts. Parallel to the airborne measurements, sessions of data analysis were organized to train students on data retrieval and interpretation. 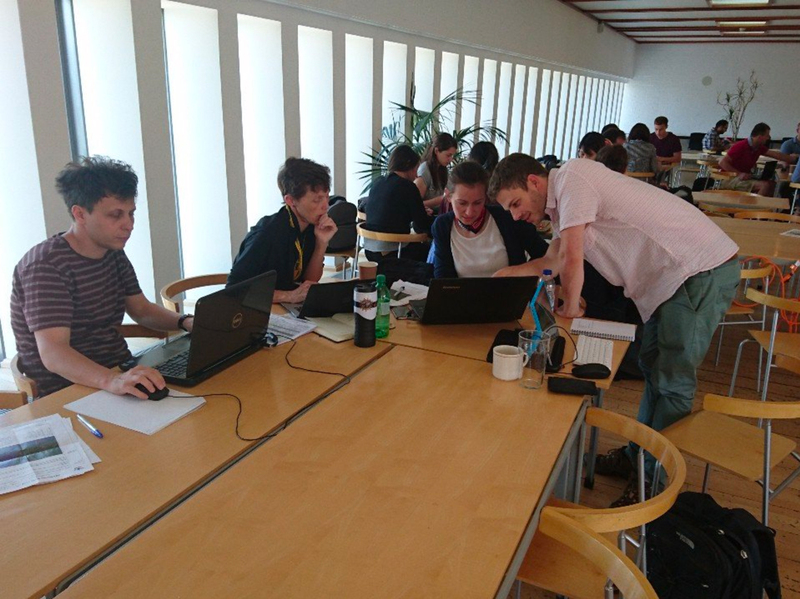 The participants, after the end of the summer school, are still in touch to finalize the data analysis and to report the main scientific results of the airborne campaign. The organising committee comprised Piero Di Carlo (University "G. d’Annunzio" of Chieti-Pescara, Italy), Jim McQuaid (University of Leeds, UK), IIs Reusen (EUFAR ET coordinator, VITO, Belgium), Lilian Diarra (Météo-France/ EUFAR, France), Radovan Krejci (Stockholm University, Seweden). 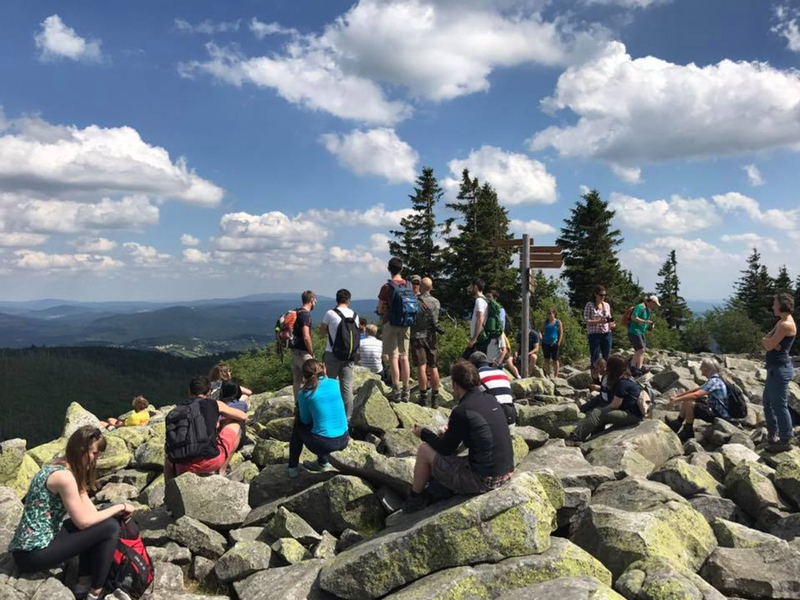 University of Twente (Faculty ITC) in cooperation coordinated a two week (3 - 14 July 2017) summer school which was held in the Bavarian Forest National Park and DLR Oberpfaffenhofen, Germany, and was funded by EUFAR. The summer school offered the 19 PhD students and post-docs from 15 nationalities working in 10 EU member states the technical skills required for understanding and measuring essential biodiversity variables in forest ecosystems as well as processing of airborne hyperspectral images, thermal images, and LiDAR data for the retrieval of essential biodiversity variables (EBV). 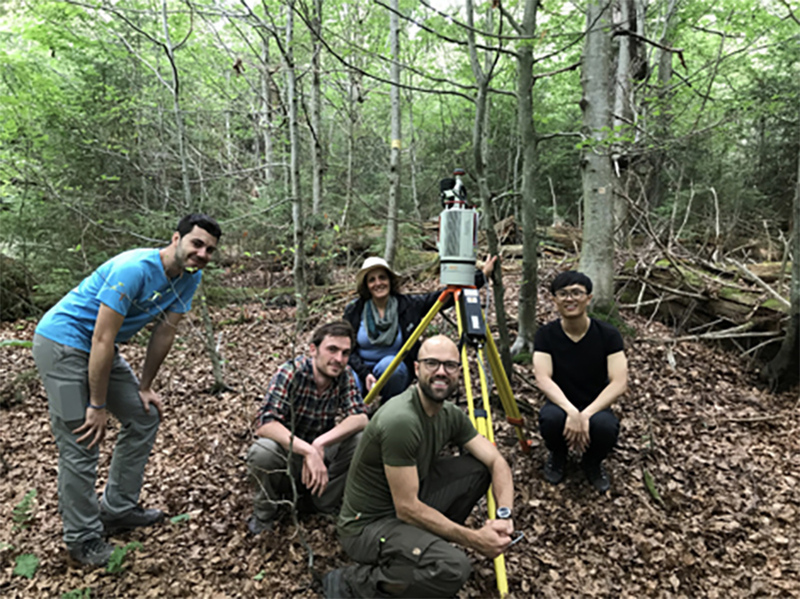 Field measurements of EBVs were performed in the first week of the summer school at the Bavarian Forest National Park with the aim to train course participants with in situ data EBV collection as well as field spectroscopy, thermal spectrometry and terrestrial LiDAR for remote sensing of EBVs. Parallel to the acquired measurements an airborne campaign with a NERC Twin Otter was organised with the concurrent acquisitions of hyperspectral imaging data in the visible, near-infrared and shortwave infrared wavelength range as well as in the thermal-infrared. In the second week of the summer school the participants benefited from lectures by experts attending the ICARE 2017 conference held concurrently at DLR. The students visited the aircraft exhibition of ICARE 2017 where they were welcomed by the airborne research and operator community. The organising committee comprised Andrew Skidmore and Roshanak Darvishzadeh (ITC, University Twente), Ils Reusen (VITO), Steffi Holzwarth (DLR) and Marco Heurich (Bavaria Forest National Park). Next: EUFAR to become an AISBL !